Hey Christian, Personal Growth is not Optional! What’s God’s purpose for personal growth? Four fears that will keep you from growing. 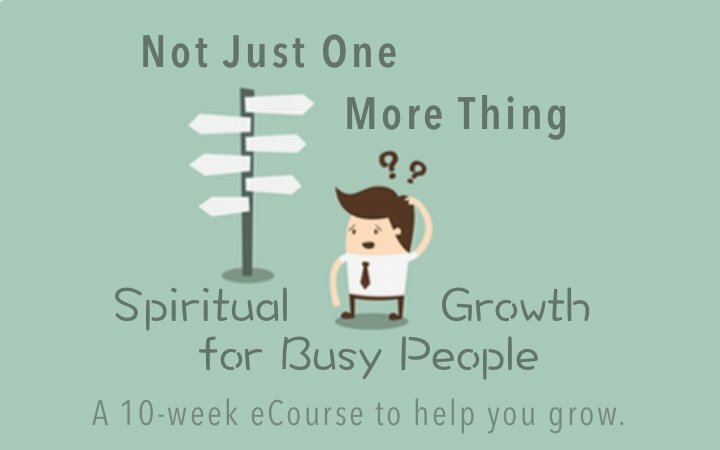 These 4 Questions Reveal the Difference Between Religious Busyness and Spiritual Growth. I was at a small coffee shop editing my current book project. The man seated next to me saw the manuscript on the table and asked if I was writing a book. “Yes,” I said, explaining it was about the vital role of our emotions in our lives and faith. That’s when he asked his question. 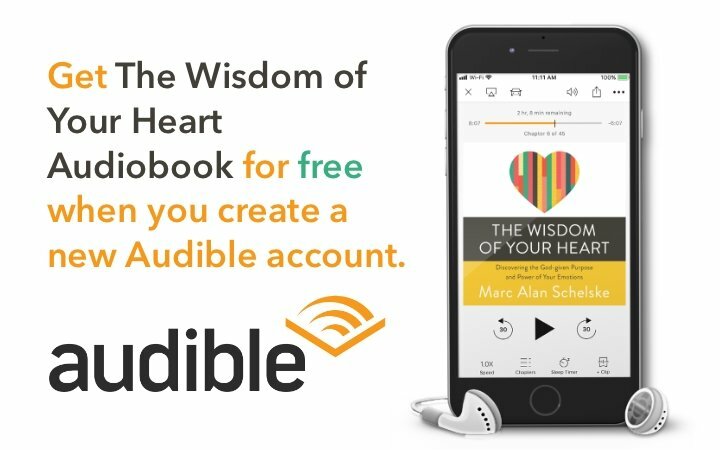 The way the man emphasized “self-help,” you could almost see the air quotes around the words. Before I could answer, he barreled on. “I think Christians don’t need anything but the Bible. There’s too much psycho-babble in church nowadays. Read the Bible. Do what it says. Don’t complicate things.” With that, he threw back the last few drops of his coffee and excused himself from the table. I was a bit stunned at the briskness of my interaction with this stranger, but not at his words. Christians don’t help themselves, right? The phrase “self-help” is looked down in the church world. 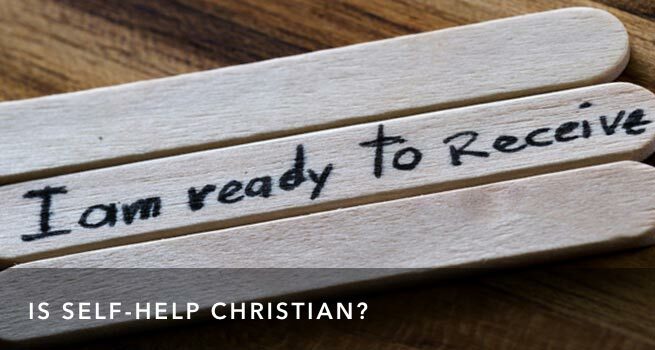 Self-Help is seen as New Age, or non-Christian, or at the very least, unnecessary. Christian’s believe we are saved by grace through faith and not through our own efforts. We believe Jesus did everything necessary to reconcile us to God and each other. Nothing we can do can add to the completed work of Jesus. I believe that, and yet I also think that this belief gets used as a hall-pass to avoid something important. Our belief in God’s grace and forgiveness has allowed some of us to skip out on the necessity of personal growth. You know, actually becoming a better, more loving, person. Before you shout, “But that’s not the point of Christianity,” remember Jesus’ words. “By this all people will know that you are My disciples, if you have love for one another.” (John 13:35) Most of us aren’t naturally the most loving. Especially when it comes to loving people who are hard to love, or loving enemies (Something else Jesus also instructed us to do.) Becoming more loving is a process of personal growth. Oh, and there’s Paul’s well-known list of the qualities that evidence God’s active work in our lives. Love, joy, peace, patience, kindness, goodness, faith, gentleness, and self-control. Becoming a person who shows these qualities more and more is a process of personal growth. Now, it’s fair for a Christian to say that these are not things we do entirely on our own. That’s why they are called the “Fruit of the Spirit!” Anyone who has tried hard to become a more patient or joyful person knows, this isn’t something you make happen just by force of will. And yet, don’t for a second suggest that this process happens without personal effort and intention. God doesn’t grow us up against our will. 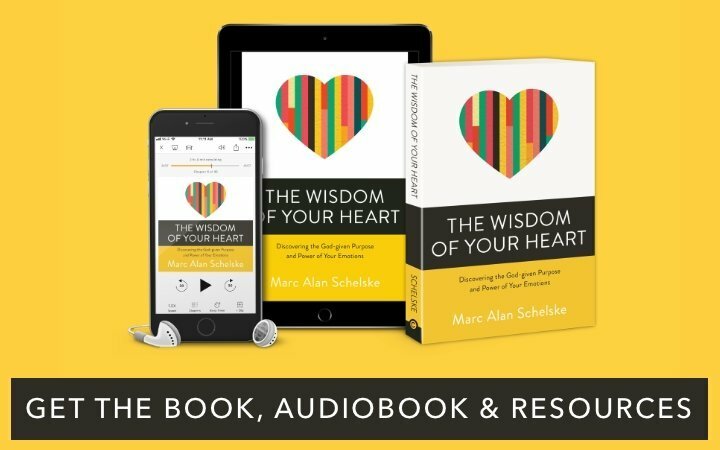 If Christian Personal Growth isn’t Self-Help, What is it? A person who actively follows Jesus will grow. Growing in love, in character, in our ability to live from trust rather than fear–this is all fruit of a healthy relationship with God. Jesus’ parable of the vine and branches in John 15 makes the point that fruit like this matters. But my grumpy friend at the coffee shop was right in at least one way. The personal growth that is so vital for our life of faith is not “self-help” in some important ways. Christian personal growth is not something we do through force of will. It’s not a situation where we read a book or watch a video and then try real hard to be different. This isn’t a New Year’s resolution. We’re not pulling ourselves up by our bootstraps. So, if it’s not “Self-help,” then what is it? First, and foremost, spiritual growth is a result of God at work in our lives. God dwelling in us through the presence of the Holy Spirit, causing us to remember all that Jesus said, convicting of sin, comforting, encouraging, and providing power. In this way, God is working within us, shaping us in the image of Jesus. You may not feel goosebumps or have daily moments of insight and inspiration. You may even wonder if it’s true. But it is. God is at work in you. Your efforts to be more loving, or more peaceful, or more gentle all happen with God’s empowering. Second, personal growth is something that happens best in the context of healing and hope-giving relationships. The body of Christ has several roles in our lives as Jesus’ followers, and this is one. We participate in a community of people who are committed to growth, who bear one another’s burdens, and who embody God’s love and grace to one another. This community helps us see a vision beyond our own. We can see other people’s growth so much easier than we can see our own. People with more experience can share their lessons with us, and walk with us in the hard places. When our hearts are bleak, pressed with doubt and self-condemnation, those around us can look in our eyes, and speak God’s truth to our souls, reminding us of our belovedness. We don’t grow on our own. Our personal growth is the fruit of God’s work in our lives, and it happens because of the participation of other loving human beings around us. 3. Our Self-Help still matters. And yet, here is where Christian concerns about “self help” are misplaced. Even though our growth comes from God, nurtured in the context of community, it will never happen without our committed, intentional choice to participate in what God is up to. 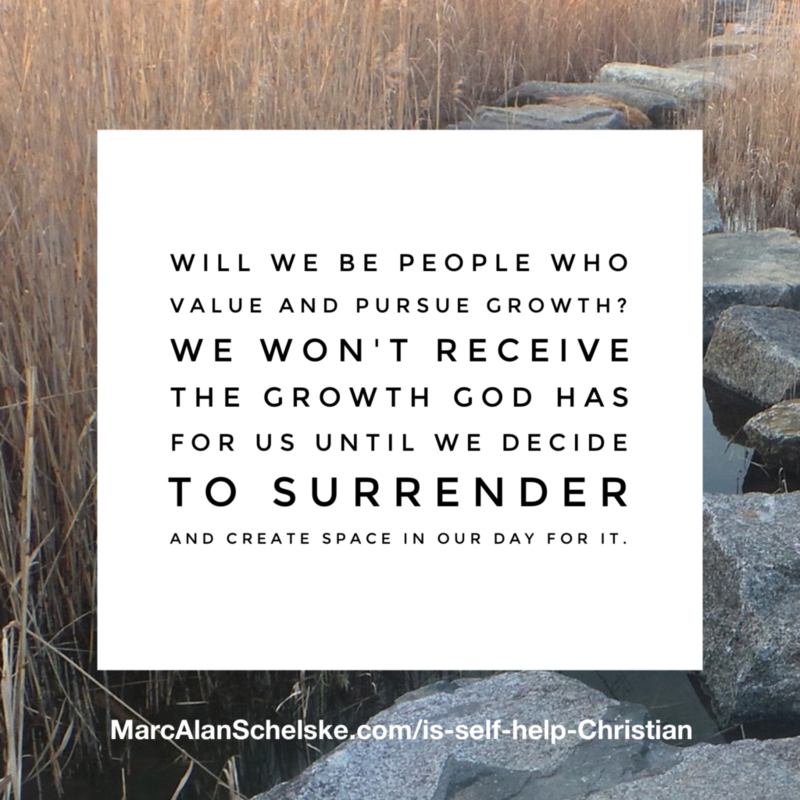 Will we be people who value and pursue growth? That’s a choice we make. We are the ones who schedule our days and spend our money. We determine the kinds of relationships we seek out. We decide whether we will read, or journal, or create space in our lives for silence and reflection. We decide whether we will listen to the wise counsel of friends and spiritual elders. 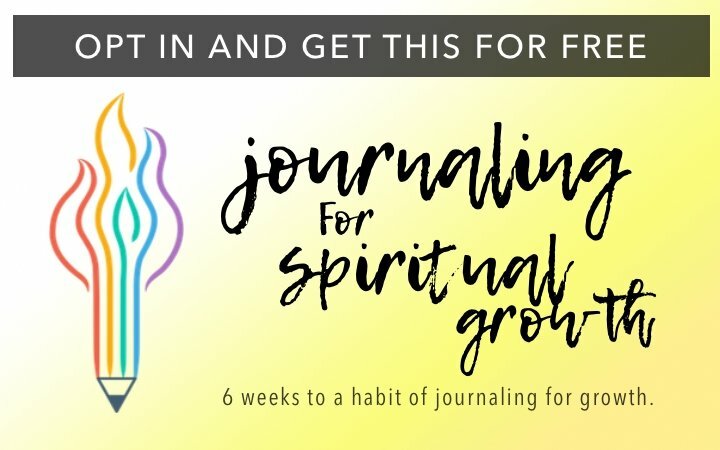 We won’t receive the growth God has for us until we decide to surrender, to nurture pursuit of growth in our hearts and minds, and then create tangible space in our day for it. Does God empower us to make this decision? Sure. Are we able to make this decision without God’s leading? That’s an interesting theological discussion to have, and yet the practical matter remains. God will not grow you against your will. You must choose. And you choose again every day. So, yes, Christian personal growth is “self-help” in this one important way. If we don’t choose it, it won’t happen. We help ourselves by finding a growth-oriented community of friends. We help ourselves by creating space for silence and reflection so we can see God’s work in our lives. We’re help ourselves by cultivating the soil of our hearts so that the seeds that God has planted can flourish. Is the phrase “Personal growth” one that is positive or negative for you? Journal on how you feel about this concept, and where you think that feeling might have come from. 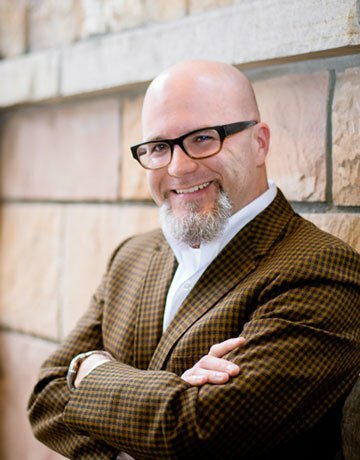 Do you consider “Self-help” to be off limits for Christians? Why or why not? There are 8 comments Mind the Comment Policy.